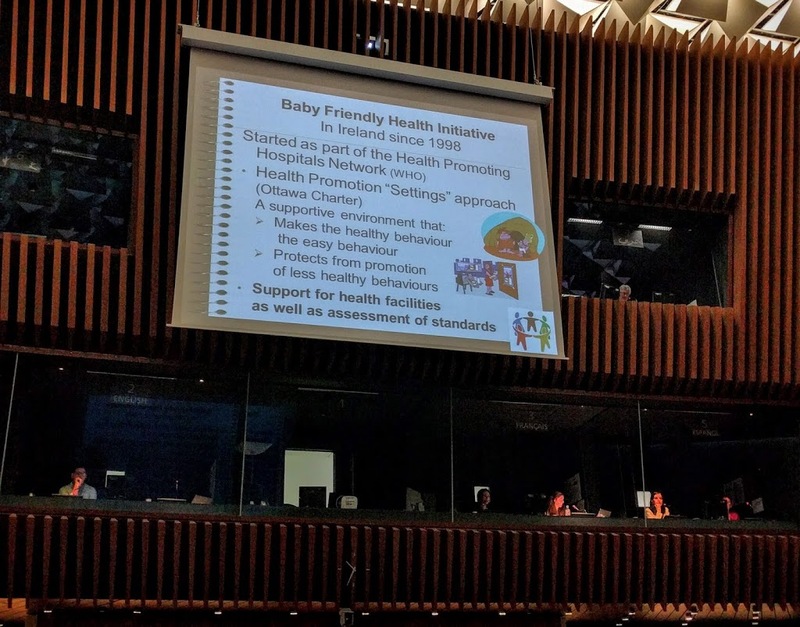 Last weekend, I travelled to Geneva to speak on a panel at the World Health Organisation’s Baby Friendly Hospital Initiative congress. Surrounded by over 300 experts from 137 countries, I shared my story and apparently made a whole bunch of them cry (including myself). There is something to be said for living in Switzerland, that’s for sure. 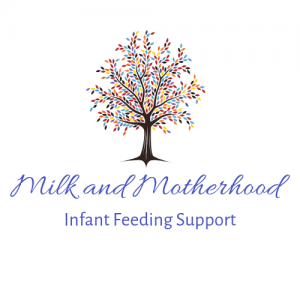 I’m the founder and admin of an English speaking breastfeeding support group here, called ‘Breastfeeding Mamas in Switzerland‘, which now has over 600 members. When I finally admitted that I needed some help, one of the knowledgeable mothers I had chosen to assist me ended up getting a job at UNICEF. She was asked to be the moderator for a panel of mothers with different experiences from around the world, and it was she who invited me to take part. 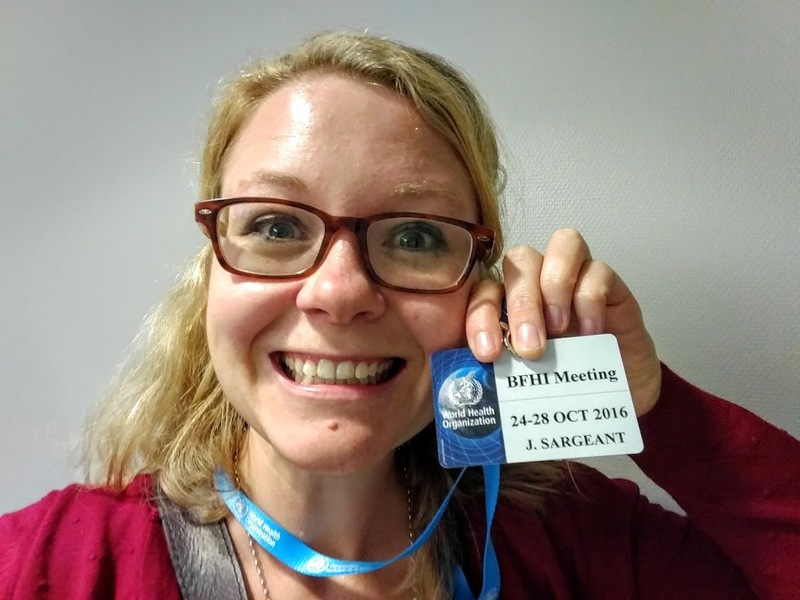 I went there with the expectations of having to speak about my experiences of birth and breastfeeding as a mother from a first world country who birthed in a Baby Friendly Hospital. In the long line before security at the entrance (the Queen of Spain was in attendance, so apparently security was heightened for this), I heard the recognisable twang of an Aussie accent, and found myself standing with a bunch of the biggest big-wigs from the Australian Breastfeeding Association. We spent the entire rest of the day together, and I am so thankful to them for taking me under their wing, providing support and confidence, continuing to educate me, valuing my voice, and ensuring I was allowed to participate in all sessions as if I were any other congress participant. This something for which I will forever be grateful. I loved this looped video of mothers breastfeeding babies in all different ways that work for them! I dream of them having this in Times Square, Piccadilly, every train station in the world… I can dream! The panel was great. My friend/colleague and moderator did an amazing job, and the goal of bringing emotion and gravitas to the congress was, I feel, achieved. As the director stated afterwards, we are the women that they were there for. It was vital to keep in mind that all this talk of policy, economics, government and resources does not forget the ‘smaller’ picture, which is a mother and her baby. My spot at the inner circle. I was able to tell my story of my first traumatic breastfeeding journey. When I spoke about the realisation that my babies would have died of malnutrition if we were to have lived in different circumstances, I unintentionally caught the eye of the woman representing Kenya… That’s when I started to cry. The enormity of it was unfathomable. I spoke about how we had everything going for us — a wonderful (though long and difficult… oh, posterior births…) vaginal birth with no medication and incredible support in an accredited Baby Friendly Hospital. He latched for his first breastfeeding within the first hour. We had unlimited skin to skin and rooming in, in a private family room with just my husband, my baby and I. When supplements were necessary, they were given with only a syringe or a cup. I was able to stay until we had figured out a feeding plan, which was almost one week. I was sent home with a prescription for a wonderfully supportive midwife to visit me at home as many times as was necessary. My husband had one full month paternity leave… I could go on and on. Everything was there for us, and yet it still did not work. I spoke about my grief around this, about my body’s failure to keep my baby alive, and my anger at being given no explanation. Giving birth in a Baby Friendly Hospital was not a guarantee for breastfeeding success. 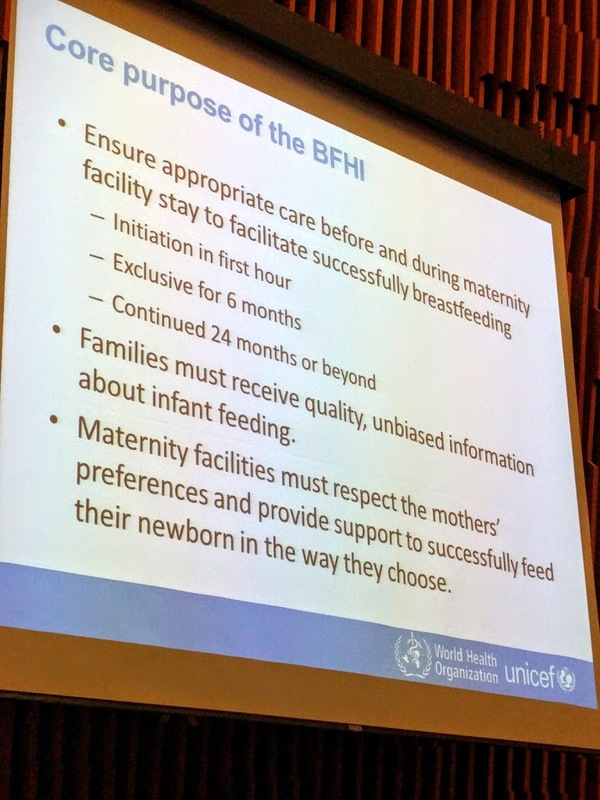 The rest of the first day of the congress had countries speak about the ways that the implementation of the Baby Friendly Hospital Initiative had altered rates of initiation of breastfeeding, exclusive breastfeeding at six months, and breastfeeding at two years. The initiative began 25 years ago, where WHO and UNICEF worked together to come up with ten steps to successful breastfeeding. They each discussed their major successes over the last 25 years, and their major challenges — from resources (such as in China, where they have more than half of the world’s Baby Friendly Hospitals and are struggling to find ways to continually ensure they are all re-accredited), to a deeply entrenched, multi-generational culture that believes that formula feeding is ‘just as good’ and is easier (in Ireland). 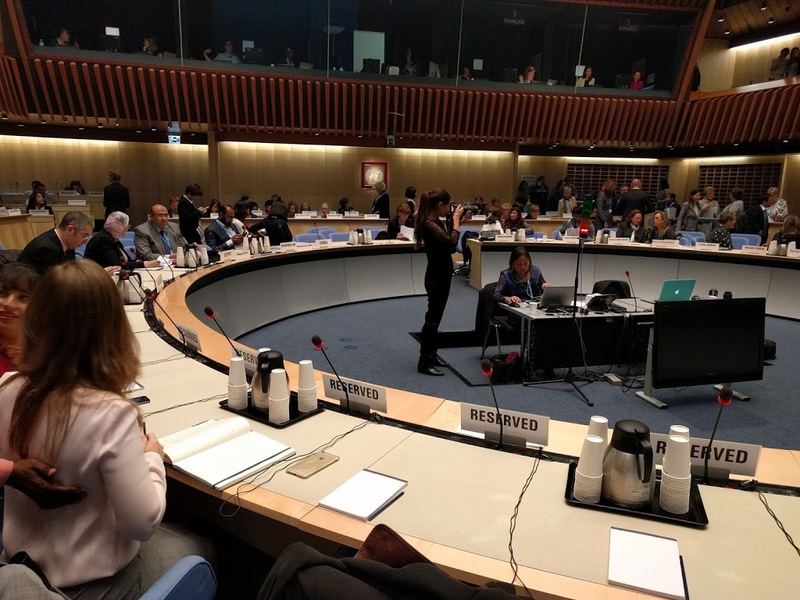 Kenya spoke about how their rates of continued breastfeeding until two years has increased from 20% to 51% since the implementation of the Baby Friendly Hospital Initiative, and how their attempts at change are often thwarted by post-election violence. 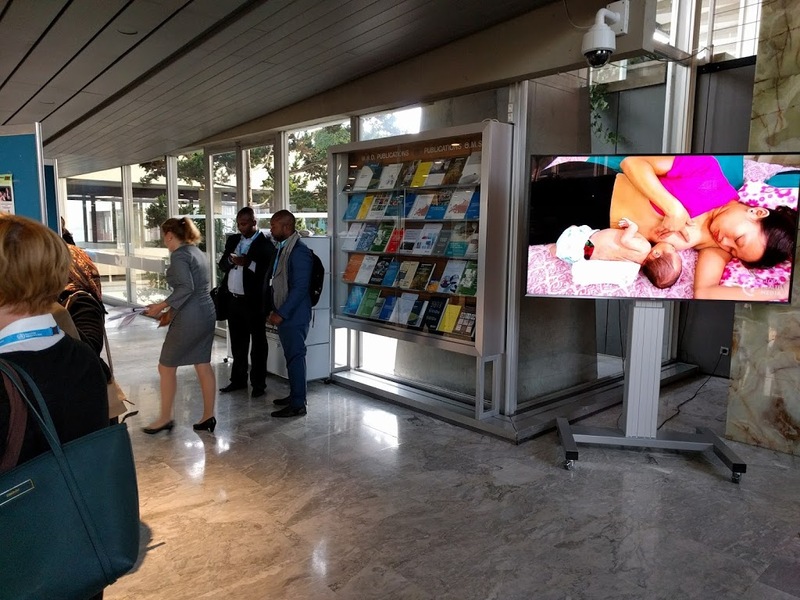 There were presentations from The Lancet, discussing the new discoveries in breastfeeding science over the past two years in a collation from over 20 000 papers and studies. 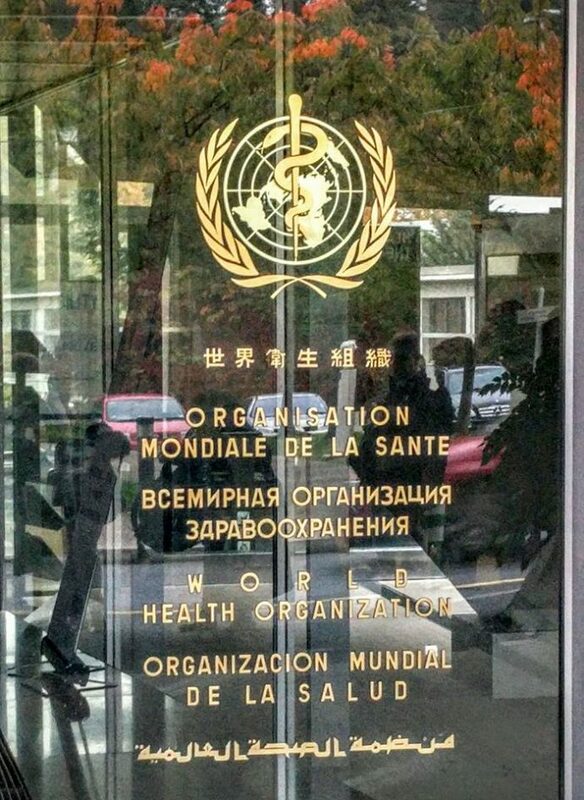 One thing that was repeatedly mentioned was that 75% of births worldwide are attended by medical professionals, and yet less than 50% of these babies will have their first breastfeed in the first hour after birth — why is this the case? Why aren’t these professionals ensuring that this occurs? Why are mothers being met with unskilled professionals after they leave hospital, which result in the premature ending of their breastfeeding relationship? One of the major goals for the following three days of the congress (of which I’m not in attendance) were to share ideas among countries to be able to combat the challenges that each of them face, and for them to return home with new ideas for implementation of change. 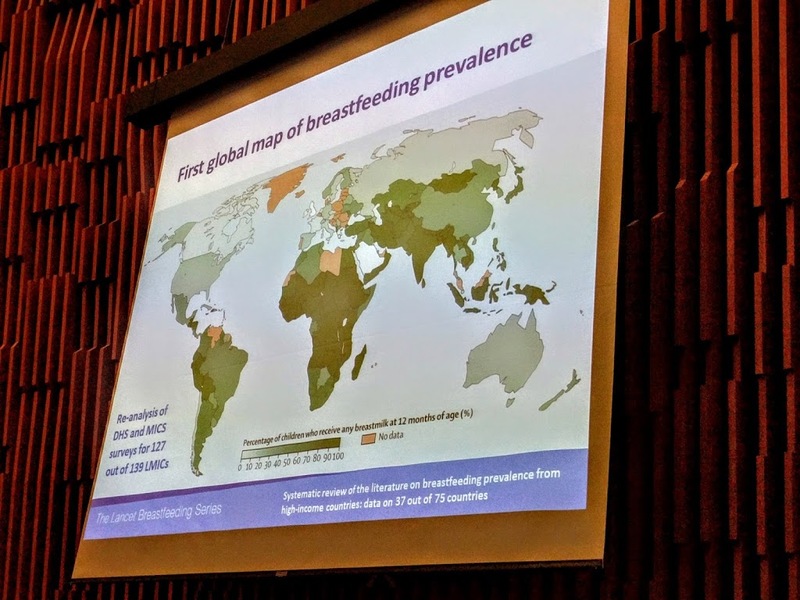 This map from The Lancet Breastfeeding Series shows the prevalence of children who receive any breastmilk at two years of age. The darker green has the highest numbers, pink has no data. I'm so glad you got to do this. What a huge leap in your bf journey for yourself and in helping others. 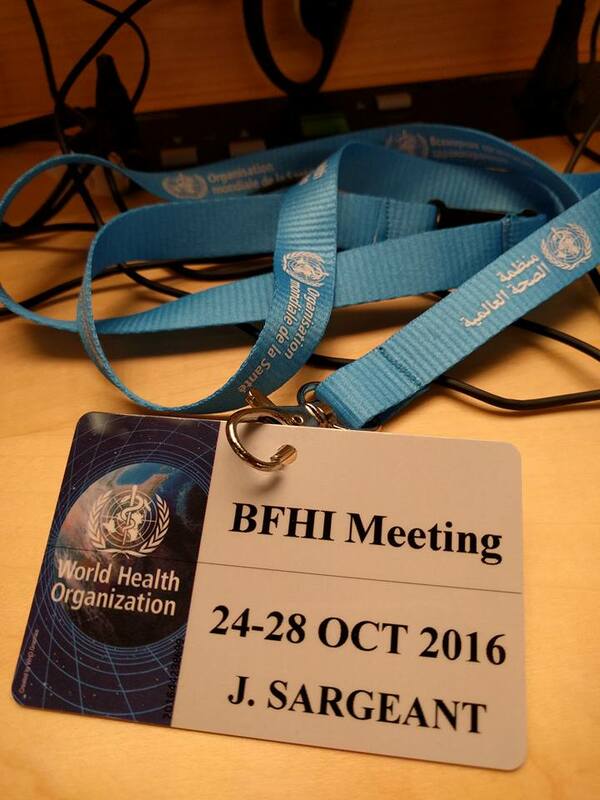 I can't think of anyone better to contribute to a conference setting the agenda for the future of breastfeeding worldwide. Woop!